On Saturday, 23rd September, a memorial seat was officially unveiled at the Kevin Griffin Apiary (formerly known as the M1 Apiary). Kevin Griffin passed away on 18th May, 2014 and is sadly missed in the Louth Beekeepers Association by all who knew him. He was an active member and was instrumental in getting the Association’s apiary off the M1 motorway (now called the Kevin Griffin Apiary) up and running . Kevin enjoyed beekeeping immensely and took great pleasure when his hard work and dedication was recognised by his peers for his time saving ideas. He won numerous prizes both locally and nationally for his honey and his beekeeping inventions! He was always on hand to help new members and was very pleased when they progressed to having bees in their own apiaries. He hosted a beginner’s introduction day at his house every year providing tea and sandwiches at his own expense and there was always great fun and hospitality there. He was very witty and loved the banter and craic and had a very optimistic attitude even when his health was failing. 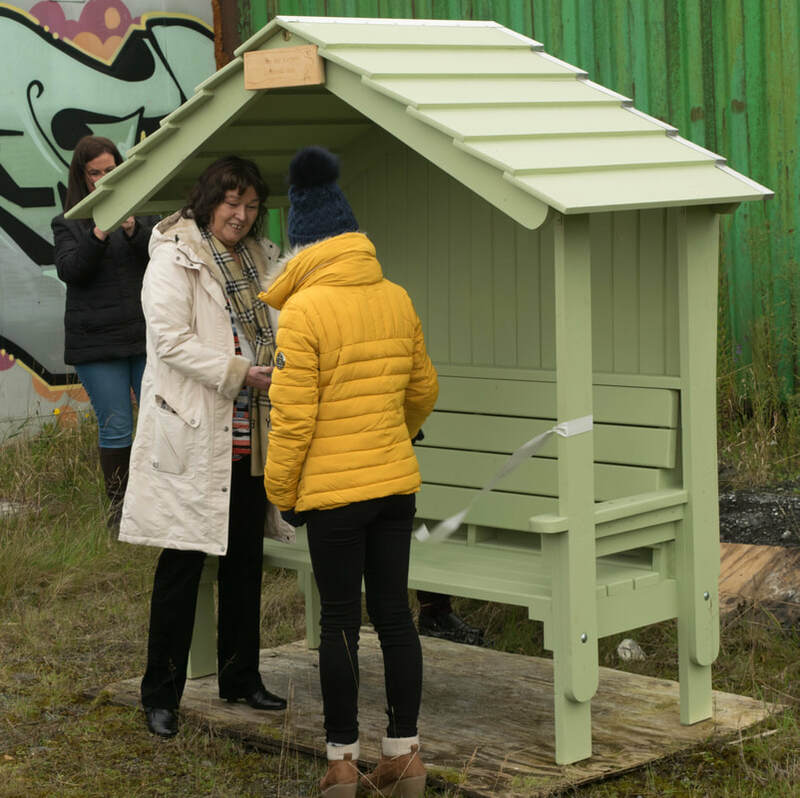 The Association therefore decided that it would be a fitting tribute to Kevin to have a seat in the Apiary in his memory where he spent so many happy hours with the bees. Cutting the ribbon - the seat is officially opened.